Jade88 Produce has provided me with greens for recipe development. While I received compensation for my time, my opinions are my own, and I have not been paid to post positive comments. Living in the city that gave birth to the kimchi taco, I’ve been fortunate enough to experience a wide array of good-to-great fusion foods, which often pairs unlikely ingredients with astounding results. There is a sweet spot, right between the San Gabriel Valley and East Los Angeles, where I can delve deep into my Mexican roots or explore the Far East on any given day. Browsing the large mole displays at a mercado, or market, got me to thinking about different ways to use mole. With Jade Baby Shanghai Bok Choy in my fridge, the decision was an easy one to arrive at: braised baby bok choy with mole rojo. 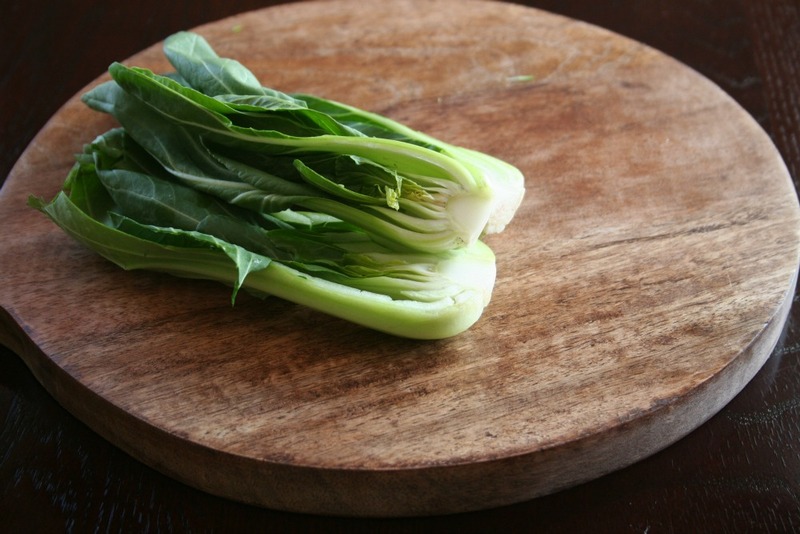 As a side dish, the braised bok choy is fantastic served alongside fish or grilled chicken. First, know that mole is as diverse as Los Angeles. There are over a dozen types of mole, varying vastly in color and spice. Mole paste can be purchased at most markets these days in the “ethnic” or “international” aisles, or try looking in a Mexican market. The best known mole is mole poblano, which has a deep, dark red color. By far, one of the best parts of being a cook and a foodie is exploring different flavor combinations. 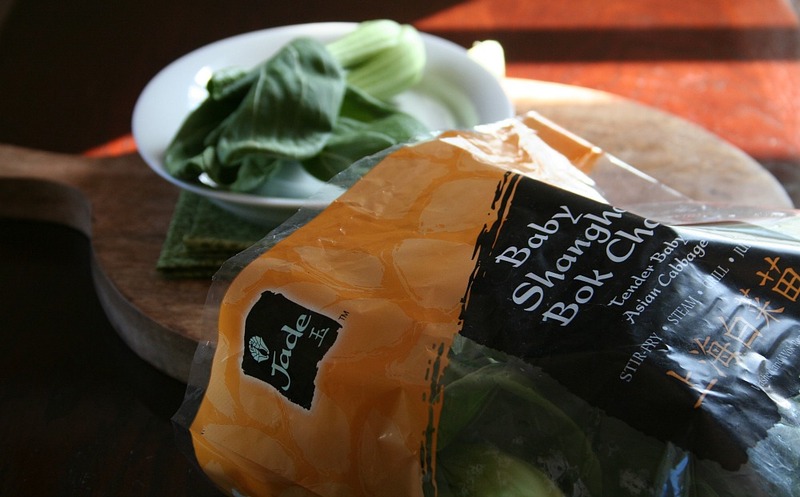 Baby Shanghai Bok Choy is milder than regular bok choy, and extremely tender. 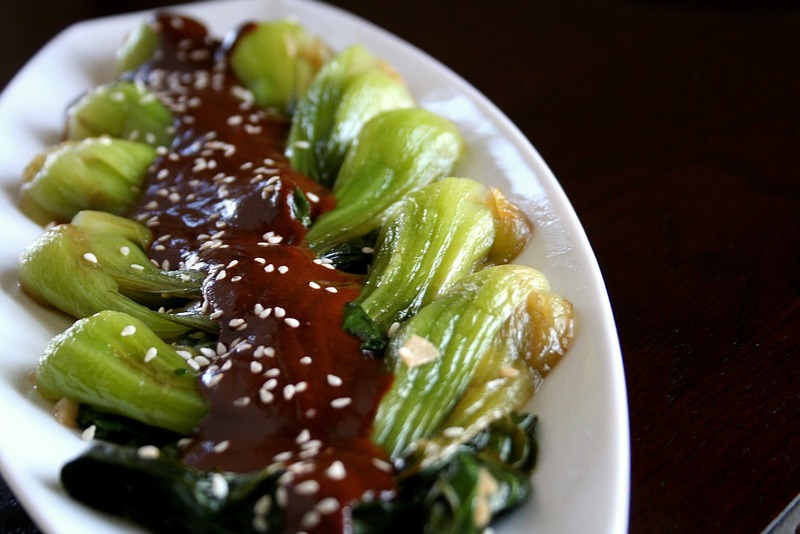 While baby bok choy pairs naturally with stir fries of all kinds, you’re going to have to think outside the wok: cocido, sopa de ajo, enchiladas and even shredded raw over tacos. This is a wonderful meeting of LA cultures. 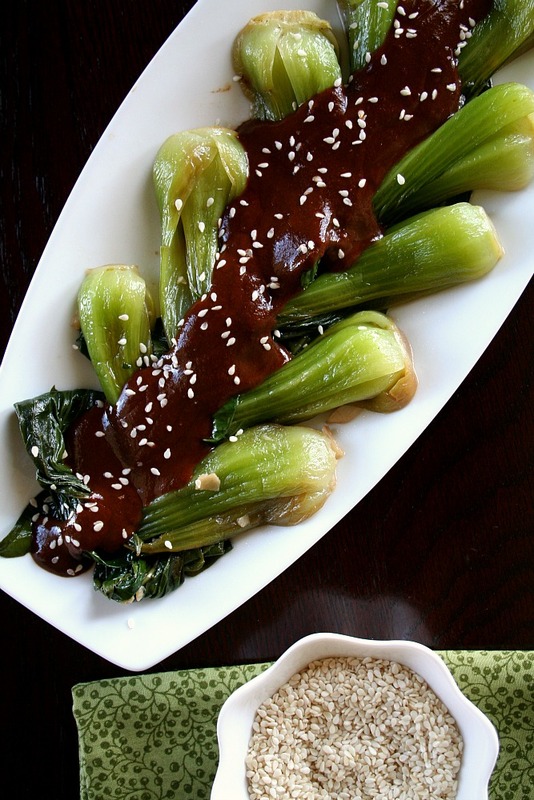 Bok choy and mole, genius. Thank you, Judy. It was a delicious pairing.